Apple's Worldwide Developers Conference is less than one month away, and speculation is high about whether Apple will announce new iCloud features, refreshed MacBook Pros, overhauled versions of iOS and OS X and maybe even a new smartphone during the conference. The problem is that Apple could change its mind at any moment and dump expected features from the lineup or even surprise us with something no one saw coming. 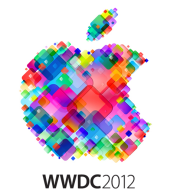 Nevertheless, a picture of this year's WWDC keynote plans is starting to emerge. Here's a rundown of what many Apple watchers are expecting to see when Apple executive take the stage at San Francisco's Moscone West convention center on June 11. Apple is planning to debut some big updates to iCloud during WWDC including a new photo sharing feature, according to The Wall Street Journal, which has a pretty good track record when it comes to Apple rumors. The new feature will reportedly let you share photos with other iCloud users who will be able to view and comment on your images. 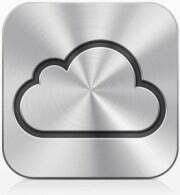 Apple may also add personal video sync (not iTunes purchases) to iCloud. But how many people will share via iCloud when so many popular alternatives already exist including Facebook, Flickr, Google+, Instagram, Picasa, Dropbox, and Windows Live? Alongside the new photo sharing features, the Journal says Apple also plans on adding sync capabilities from iOS Notes and Reminders apps to iCloud.com, the Web-based portal for Apple's cloud storage service. 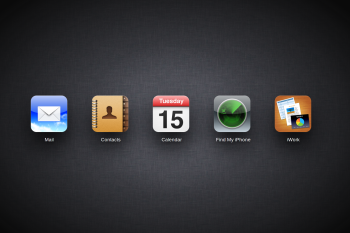 Users can currently sync their Notes and Reminders with iCloud, but can only access them on another iOS device or a PC. Apple's iCloud.com provides Web access to your mail, contacts, calendar, and iWork documents, as well as Find My iPhone, Apple's remote wipe and device location feature. Apple will reportedly debut an ultrathin 15-inch MacBook Pro this summer featuring a high-definition "retina" display, Intel Ivy Bridge chipsets, unibody design, three USB ports (one of which could be USB 3.0), one or two Thunderbolt ports, and an SD card slot, according to 9-to-5 Mac. Bloomberg followed up 9-to-5 Mac's claims with a report of its own claiming that Apple would release an entire lineup of ultrathin MacBook Pros during WWDC. The new Apple laptops would reportedly drop their optical drives and opt for flash storage over a conventional hard drive. Apple watchers have long expected the company to overhaul its entire laptop line into MacBook Air-like machines, and it looks like WWDC 2012 could see the next step in that evolution. Since 2009, Apple has steadily built up its own mapping prowess with acquisitions such as Placebase, Poly9, and C3 Technologies, and then in March Apple released iPhoto for iOS using its own maps. The writing has been on the wall for some time, but WWDC 2012 may be the moment when Apple finally jettisons Google Maps for its own Maps app in iOS 6, according to AllThingsD. It sounds like a slam dunk, but given past rumors about Apple dumping Google services, don't bet on this one just yet.